Sobol, Kertész, Eskildsen, mostre che non mi perderei! Macula – Centro Internazionale di Cultura Fotografica presenta il secondo evento della stagione espositiva 2015: lo Scalone Vanvitelliano di Pesaro accoglierà dal 13 giugno, giorno di inaugurazione, le opere di Jacob Aue Sobol, celebre fotografo danese membro di Magnum Photos. L’evento è organizzato da Macula, con il sostegno del Comune di Pesaro, il patrocinio della Regione Marche e della Fondazione Pesaro Nuovo Cinema, in collaborazione con mc2gallery, Milano e Sistema Museo. Jacob Aue Sobol (Copenhagen, 1976) si è formato all’’European Film College’ e, successivamente, al ‘Fatamorgana’, scuola danese di fotografia d’arte, sviluppando uno stile unico caratterizzato da un bianco e nero a contrasti violenti, d…iretto, e fortemente espressivo. Impossibile scindere il lavoro dall’esistenza dell’artista: la fotografia di Sobol si nutre di esperienze di vita, incontri e relazioni, mostrati senza filtri, con un coinvolgimento emotivo mai celato, inserendosi nella scia della scuola di fotografia nordica, rappresentata da nomi come Christer Strömholm e Aders Petersen. La mostra presenta una panoramica dell’opera di Sobol, con fotografie dalle serie ‘Sabine’, ‘I, Tokyo’, ‘Bangkok Encounter’, ‘Home, Copenhagen’ e ‘Arrivals and Departures’. FROM THESE HANDS: A JOURNEY ALONG THE COFFEE TRAIL è il titolo della mostra dedicata al fotografo Steve McCurry, organizzata da Lavazza e firmata dall’architetto Fabio Novembre, che sarà allestita a Milano, dal 5 giugno al 5 luglio 2015, nella Sala Colonne del Museo della Scienza e della Tecnologia. Al centro della mostra, 62 scatti realizzati da McCurry in 12 diversi Paesi: Brasile, Burma, Colombia, Etiopia, Honduras, India, Indonesia, Perù, Sri Lanka, Tanzania, Vietnam, Yemen. L’allestimento di Fabio Novembre è studiato per accompagnare il pubblico nelle atmosfere evocate dagli scatti. Le foto di McCurry sono sempre l’inizio di un viaggio in cui è meraviglioso addentrarsi. L’idea da cui è stato sviluppato l’allestimento, diventa quindi un labirinto che si integra perfettamente nelle geometrie della Sala Colonne del Museo Nazionale della Scienza e della Tecnologia. Il visitatore potrà ammirare le opere di McCurry riprodotte su pannelli concepiti come pagine di un volume fuori scala. La bellezza e l’umanità che scaturiscono dalle immagini di McCurry è amplificata dall’allestimento di forte impatto scenico e immersivo studiato e realizzato dall’architetto Fabio Novembre. André Kertész (1894–1985) is an undisputed master of photography, an icon who created much of the visual vocabulary of the medium that is still in use today. Kertész worked thematically throughout his life, repeatedly approaching the same subjects and ideas; refining and redefining his observations as he matured as an artist. Surveillance represents one such theme and technique that he continually visited. This astonishing body of work—assembled together for the first time—reveals the dichotomy of a man who observes from afar, as an outsider, but at the same time creates deeply intimate images in response to what he witnesses. In playful, beautiful, and sometimes ominous photographs, Kertész displays a carefully calculated distance that evokes a sense of longing to belong, simultaneously acknowledging that it will never be. Whether watching his subjects from near or afar, Kertész remains the quintessential outsider. As a young adult, Kertész saw himself as a failure at every occupation he tried. Amongst his earliest self portraits are a series of him in various guises such as an athlete, a bee keeper, and a banker, all of which vividly illustrate his bewilderment about what lay ahead. Although in a supportive family, his inability to hold a job and his interest in art soon set him apart as an outsider. He even frustrated Elizabeth, his betrothed, who finally insisted that he leave Budapest to establish himself somewhere else. With this ultimatum, Kertész left for Paris to devote himself to becoming a working photographer and immerse himself in the city’s vibrant scene of the 1920’s. His already mature sense of form and balance combined with his humanist approach to life, Kertész began to produce an enchanting body of work reflecting his response to his new Parisian world. While successful, Kertész was far away from the nourishment and support his family provided and he suffered deeply. A sense of loneliness and isolation began to emerge in his photographs. Arriving shortly before the outbreak of WWII, his relocation to New York isolated him further. Kertész found himself lost in a monolithic city without the support of the Parisian café society that fueled his art. During the war, Kertész was identified as an enemy alien and warned not to photograph on the streets. Years later, he took solace in an apartment high above Greenwich Village where he embraced new photographic technology, using zoom lenses and an adapted telescope that allowed him to hone in on the people down below and across the way. Observing intimate interaction from a safe distance, Kertész redefined the world he surrounded himself with. It is here that he developed his penchant for voyeurism into a true art form. Since 2003, Stephen Bulger Gallery has been privileged to represent the Estate of André Kertész. Our previous exhibitions included: ‘New York State of Mind’; ‘1920’s – 1980’s’; ‘The Polaroids’; ‘On Reading’; ‘Self-portraits’; ‘Places and Things’. This exhibition is drawn from work made in two periods of Kertész’s photographic life: Paris from 1925-1936; and finally to New York, where he lived from 1936 until his death in 1985. Utilizing both vintage prints as well as ones printed later in Kertész’s life, we are celebrating the beauty, the genius, and the pathos of man who, time after time, captured in images what could not be articulated in words. The National Museum of Photography presents a comprehensive exhibition, Joakim Eskildsen: A world I can believe in, of internationally recognized Danish photographer Joakim Eskildsen, introducing his full artistic oeuvre for the first time in Denmark. The exhibition is based upon the seven books, Eskildsen has been working on since 1989. A selection of images are presented in large format along with sketch books, contact sheets, pre-proofing sheets, video and other materials providing insights into the work process. Joakim Eskildsen is a dedicated photographer, who works meticulously with every step of the process from photographing, copying and printing to the final design of the photographic book. To him, not only the photographic works meant for display are important, but more than everything the book itself is the back bone of his projects. In a book, the artist can present his images without compromising in a series that allows for a narrative to unfold. Moreover, a book lives for a long time and reaches a larger audience than a single work of photographic art. Joakim Eskildsen is rooted in the tradition of classical documentary. His main subject is people and their surroundings which he becomes familiar with during long stays abroad. His images in the books together with the texts depict the communities in question both soberly and with respect. The monumental work The Roma Journeys (published by Steidl 2007) in which Eskildsen and the author Cia Rinne spent six years documenting life, conditions and history of the Romas in Hungary, Greece, India, Finland, France, Romania and Russia received international attention and won several prizes. The past years he has worked on the series American Realities, documenting people living below the poverty line in the US. Eskildsen has worked on projects in Portugal, Cuba and South Africa as well but is currently working on Home Works, focusing on subjects closer to him: The homes and children of his own. He often collaborates on projects with writer Cia Rinne, and his publications include Nordic Signs (1995), Bluetide (1997), iChickenMoon (1999), the portfolio al-Madina (2002, in collaboration with Kristoffer Albrecht and Pentti Sammallahti), and the book The Roma Journeys (Steidl 2007). Currently he works on three books, American Realities, Cuban Evolution and Home Works. His work is represented in collection in i.a. Museum of Fine Arts in Houston, Fotomuseum Winterthur in Switzerland, Kiasma in Helsinki along with Danish collections, and he has exhibited in Amos Anderson Kunstmuseet in Helsinki and Kunsthalle Emden to name a few. Eskildsen currently lives and works in Berlin. The exhibition is created in collaboration with Gallery Taik Persons, Berlin. Joakim Eskildsen was born in Copenhagen in 1971 where he trained with Royal Court photographer, Mrs. Rigmor Mydtskov. In 1994, he moved to Finland to learn the craft of photographic book making with Jyrki Parantainen and Pentti Sammallahti at the University of Art and Design in Helsinki, where he published Nordtegn/Nordic Signs (1995) and graduated with an MA degree in photography in 1998. Belgian Autumn può essere considerato come uno splendido saggio visivo che si addentra in uno dei più grandi misteri della storia belga, quello degli Assassini del Brebante. Tra il 1982 e il 1985 il gruppo di criminali mise a segno una serie di violente rapine a mano armata e altri crimini in cui rimasero uccise 28 persone. Una di queste era il padre di Jan Rosseel. Non si sa nulla circa il movente degli assassini e dopo anni di investigazioni, il caso rimane ancora irrisolto. C’è chi ha ipotizzato che il vero intento della banda fosse quello di creare un clima di instabilità sociale e che dietro di loro si nascondessero politici di alto calibro e altre autorità che ne hanno garantita la protezione. Jan Rosseel è affascinato dal cervello umano, dai meccanismi della memoria e dalla fabbricazione di falsi ricordi per colmare le lacune della mente. Attraverso le sue opere, Rosseel ha riscostruito eventi accaduti oltre 30 anni fa, basandosi non solo su informazioni tratte da rapporti della polizia, reperti e ritagli di giornale, ma anche su testimonianze e racconti di persone che avevano assistito ai violenti crimini della banda. Attraverso la sua narrazione visiva, Rosseel tiene ancora in vita questo episodio della recente storia belga. L’opera di Jan Rossel può essere meglio descritta come visual storytelling, al confine tra narrazione e documentazione. Rossel lavora come un collezionista di memorie, accumulate sotto forma di fotografie, video e oggetti. Il punto di partenza dei suoi progetti, basati sulla ricerca, sono specifici eventi storici e il concetto di memoria. Le sue storie non solo riscostruiscono gli avvenimenti di riferimento, ma mettono in discussione l’attendibilità della memoria e della nostra mente. Rosseel si comporta come un investigatore che fa ricorso ai metodi della ricerca scientifica e del giornalismo per costruire una narrazione in cui fatti e finzione coesistono.. The works will then commence a tour of forest venues nationally, supported by the Forestry Commission England, beginning at Grizedale Forest Visitor Centre, Cumbria from18 July – 7 September 2015. The Atkins CIWEM Environmental Photographer of the Year competition is an international showcase for the very best in environmental photography and film. Honouring amateurs and professionals of all ages, it provides an opportunity for photographers to share images of environmental and social issues with international audiences, and to enhance our understanding of the causes, consequences and solutions to climate change and social inequality. Atkins, one of the world’s leading design, engineering and project management consultancies, are once again sponsoring the competition, allowing for two significant improvements this year. 2014 saw the introduction of the Atkins Cityscape Prize of £1,000, and the competition became free to enter. The competition tour is kindly supported by Forestry Comission England, they believe that woodlands and forests are vital places for contemporary artists to engage with, to make and present new work. Una mostra dedicata alla Street Photography, con le fotografie dei grandi maestri come Elliott Erwitt, William Klein e Joel Meyerowitz, dei più affermati autori internazionali come Craig Semetko e Matt Stuart, e delle nuove leve della street photography italiana. 28 immagini legate dall’utilizzo dell’obiettivo 28mm, per raccontare visioni diverse nello spazio e nel tempo, ma accomunate dall’ironia, dalla poesia e dalla luce. ← PIERGIORGIO BRANZI, un reporter poetico. 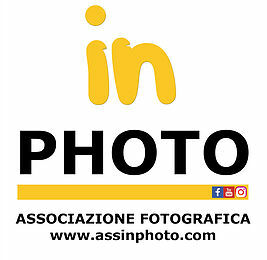 Intervista e fotografie.